Universal Disability Rights – Remind Me Again Why We Don’t Care? Well, I was going to write about how conservatives are sometimes more open to discussing issues faced by disabled people than liberals are. Then on Tuesday, all but eight Republican senators voted against the Convention on the Rights of Persons with Disabilities, making sure the United States distinguishes itself as one of the few nations on earth that will not commit to protecting disabled rights. Appeals by the likes of the World Health Organization, the American Psychiatric Association, and senior Republicans (and disabled veterans) John McCain and Bob Dole were to no avail. So I’m not in the mood to write any sort of tribute to conservative ideals this week. 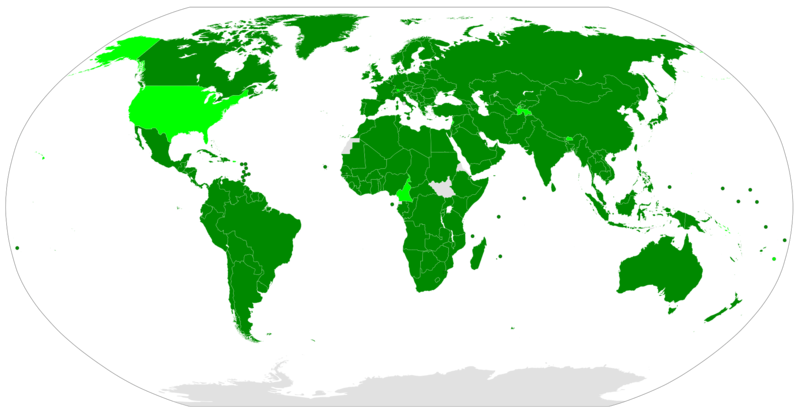 Supporters of ratification like Dole and John Kerry argued that the United States would be leading the world, since much of the Convention was modeled after the Americans with Disabilities Act of 1990. Opponents argued that this is exactly why ratification is of little importance. We already have the ADA and we don’t like the UN, so who cares? But By refusing to ratify the Convention, the United States is undermining its authority, ultimately saying, “Too bad!” to the disabled citizens of other countries that will also abstain, where ableism is sometimes deadly. (Do we need to talk about the thousands of medical conditions that are still thought to be works of the devil or punishment by God in far too many cultures?) But this is not just a matter of the United States choosing whether or not to officially lead the world. When it comes to human rights at home, complacency can be devastating. In many respects, the U.S. is not coming out on top. According to an OECD 2009 study of 21 developed countries cited by the World Bank and WHO last year, disabled people of working-age are more likely to live below the poverty line than non-disabled people in every country but Norway, Sweden, and Slovakia. This likelihood is highest in the United States, Australia, Ireland, and Korea, and lowest in the Netherlands, Iceland, and Mexico. According to WHO, the discrepancy between the employment rates of disabled and non-disabled citizens is twice as high in the United States (35 percentage points) as in Germany (18 percentage points). And in the U.S., the risk of violence against people with disabilities is four to ten times higher than against people without disabilities. I will never officially endorse a candidate or a party on this blog. Despite obvious political trends at the macrocosmic level, personal experience has shown me that people of all political stripes believe in universal human rights and I never wish to alienate anyone over issues not directly related to equality. But shame on every single senator who blocked the Convention. No one has ever protected human rights on an international scale through isolationist policies. In a world where people with dwarfism still have little hope of employment outside the circus, people with albinism are persecuted, surgeries are performed without consent, and a diagnosis of mental illness is thrust upon LGBT people and denied people with clinical depression, international cooperation is crucial. Otherwise, human rights disintegrates back into its inconsistent old self and becomes nothing more than a matter of privilege.